The couple sit down and as she starts to talk, her husband looks away. He seems more interested in the books on my shelf. The more emotional and pleading she gets, the more withdrawn and shut down he gets. He says he wants the relationship to improve but he can't handle her critical complaining. Why is it that this young man, who professes love, seems to withdraw emotional just at the moment his partner so deeply needs his love and reassurance? She looks back at me hurt and angry whilst he remains unmoved, withdrawn and determinedly casting his eye away from his distressed partner. What's happening? What we know, through years of research, is that we develop an internal model of operating within our relationships. This develops from the moment we are born. The amazing thing is that this template can be found across all cultures and nationalities. This template is your attachment style and there are three styles of operating. The ratio between these styles is also universal. Our attachment style is our relationship operating system. Depending on our template we all will operate in a similar style. When there is emotional anxiety we either withdraw, step forward or keep our emotional equilibrium. Once we understand this we start to make sense of how we operate within our relationships. Attachment is my first love. Once we get a grasp of how this operates suddenly we are no longer polarised we are able to reduce the tension and start to feel connected. We suddenly are able to shape our relationships and are no longer captive to our internal emotional drive. Having a good relationship is the difference between thriving and just surviving! If your relationship sometimes feels like my couple’s then perhaps it would be a good time to think about your operating system. Discovering our unique attachment style can be a game changer. 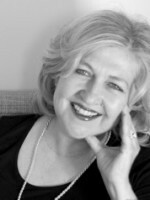 Pam Custers is an experienced relationship therapist in Private practice in Wimbledon. Specialising in Relationships and marriage counselling.